The Beach Rotana Hotel offers luxury in a superb location right in the main business district of Abu Dhabi facing the sea. 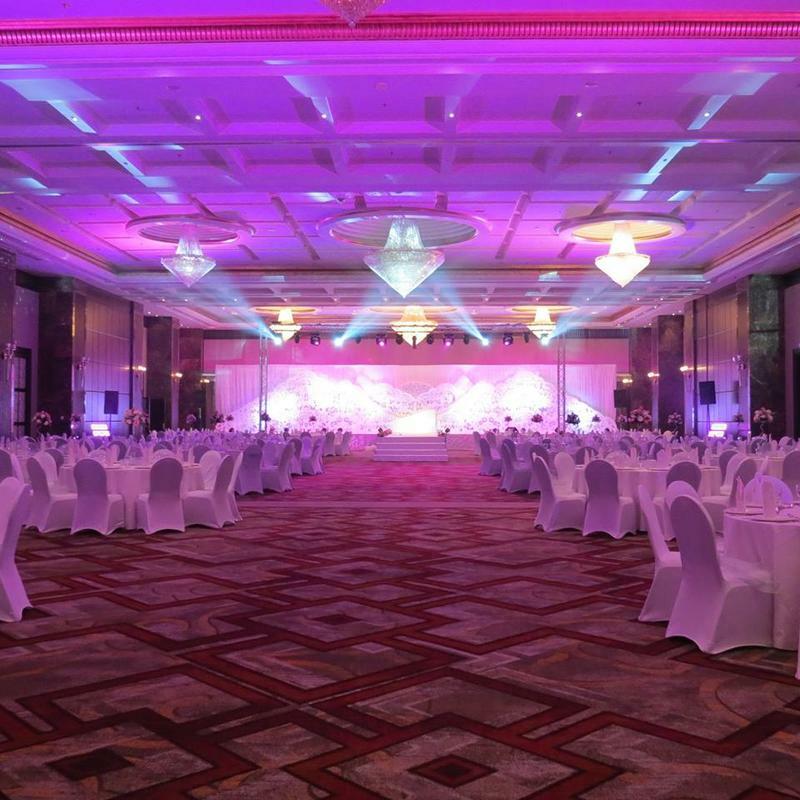 Rotana Hotels, which has hotels across the Middle East, commissioned Brintons to supply custom carpet for the 1,100 square meter Al Thuraya Grand Ballroom, which can accommodate up to 1,200 guests. Brintons were asked to turn a simple geometric pattern into a contemporary design, with colours such as gold and purple specified to move away from usual Arabic schemes and instead reflect more traditionally regal and classic interiors. Brintons worked closely with the hotel to ensure the designs were in keeping with the current hotel style, but to also give the ballroom interiors a big impact to be a standalone showcase of the hotel. 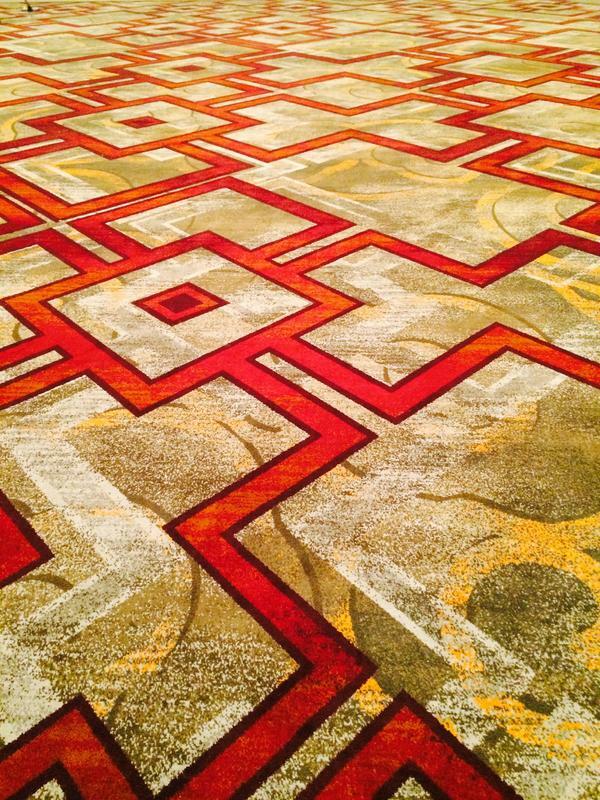 In the carpet we introduced a small wave in the geometric pattern to show a beach and sand effect to reflect its location, and these subtle adjustments lent themselves well to the hotel’s ambiance and theme. 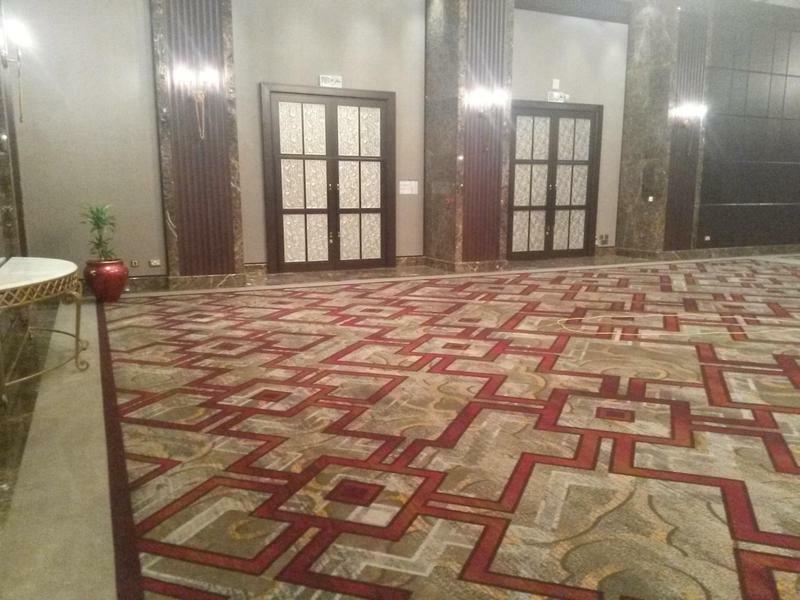 Brintons has worked with the Beach Rotana, which is ideally located in the centre of Abu Dhabi, for over two years and has supplied carpet to the existing hotel corridors. 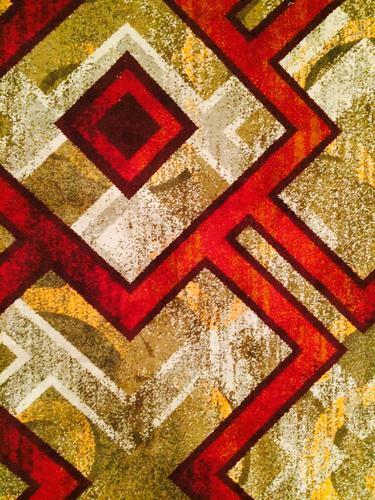 These designs were chosen from Brintons Art Fusion collection and help accentuate the hotel’s luxurious theme. I am happy with the carpet design and it compliments the ambiance of the hotel. 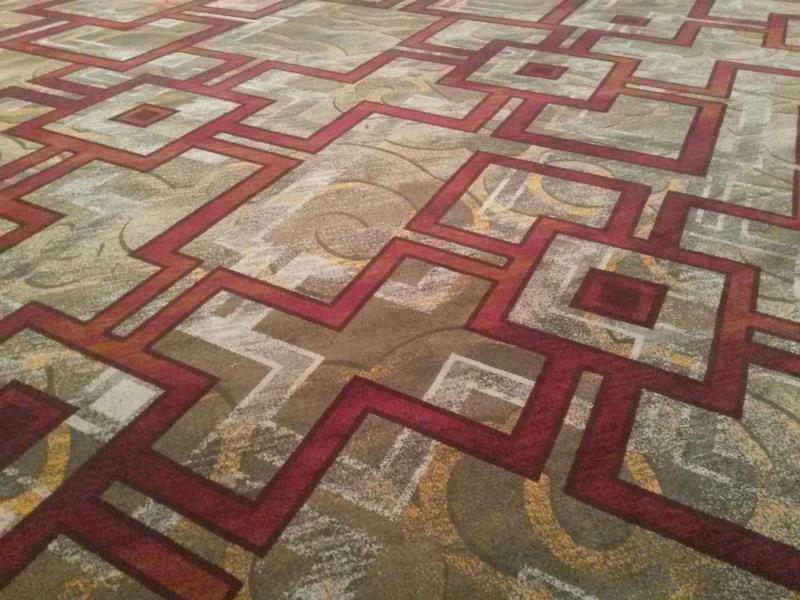 The Brintons team did a great job at capturing our thinking and conveying it on to the carpets.